Rear bag for passenger seat or luggage rack. 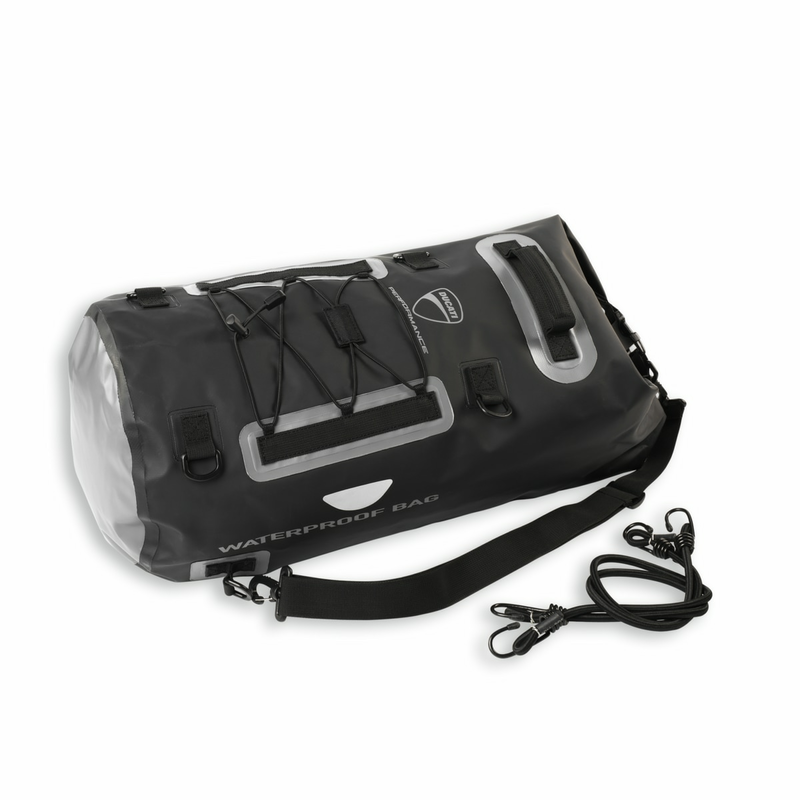 The rolled shape and the tarpaulin, an effective waterproof material, ensure that the bag is watertight. Load capacity of 30 litres.